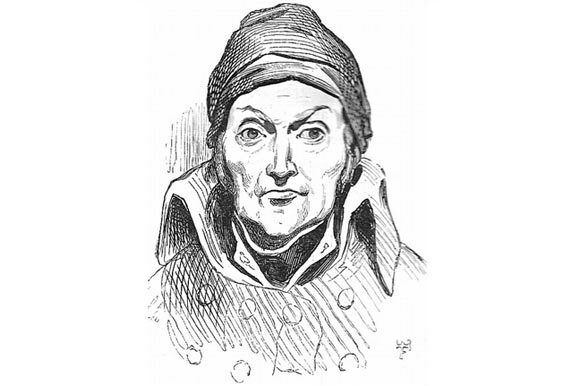 Nicolas Appert, born on November 17, 1749 in Chalons-sur-Marne, France, was a chef who is best remembered for the invention of airtight food preservation. This was the time of the French Revolution and many wars would frequently break out. Appert worked as a distiller, confectioner and chef at that time. The French armies at that time were spread all over Europe, and the problem of carrying food with them was one that had the government stumped, as it would spoil over long distances and over time. In 1795, the French government offered a prize of 12,000 francs to anyone who could invent a method of food preservation that would stop the food from being spoilt and make it easy to transport. At that time, the main method of preservation included drying, smoking, fermenting, pickling or soaking it in brine. However, these methods were very uncertain and food was often spoiled despite it. It also affected the taste of the food and made it unpalatable to soldiers at war. Appert took this challenge of inventing a new and improved method of preservation. He experimented using soup, vegetables, dairy, jams, jellies and syrup. This went on for almost 14 or 15 years until the method had been perfected. Appert demonstrated his newly created invention to the government (referred to as the “Directory” at that time) and was subsequently awarded the 20,000 franc prize. In 1811, he published a book on the subject which was titled “The Art of Preserving All Kinds of Animal and Vegetable Substances for Several Years“. His book immediately became a best seller. Appert’s method was based on the premise that food stuff such as vegetables, jam and soups could be preserved by first sealing them in a jar and then holding the jar in boiling water for several hours. All the air had to be sucked out of the jar to create a vacuum which would prevent bacteria from decaying the food. The jar would then be sealed tightly with a cork, wire and sealing wax to complete the process. Appert himself was never entirely sure about the scientific reasoning behind his method. All he knew was that it worked and he documented the details of the process at length for others to follow his example. With the prize money that he received from the government along with the income from his book, Nicolas Appert set up a bottling plant that preserved food for French soldiers using the principles he had outlined. The factory remained in existence for more than a hundred years, up until 1933. The English tried to improve Appert’s method by substituting glass bottles with metal containers, as glass bottles frequently broke. A patent to this effect was issued to Peter Durand in 1810. Durand used iron cans and covered them with a layer of tin to prevent them from rusting. Durand supplied the Royal Navy with tinned meat by using this preservation method. The process of canning during Appert’s time was a tedious one. The containers would have to be boiled for hours to make them sterile and once this was done, the process of sealing would take place. One significant development was the addition of calcium chloride which would raise the temperature of the water and make it boil faster. The outbreak of the war led to mass commercialization of the canning process developed by Nicolas Appert, after which it spread to the U.S. and all over the world.